This post, I would bring my experience and favourite on this website. 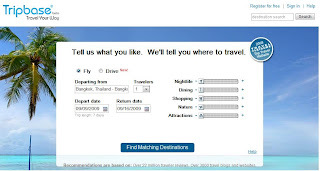 I would just give you some website that help you plan your vacation from the scatch that you don't have any idea for the destination in your mind yet. This site is Tripbase.com , I really like the User Interface and their Data Mining system. There are some hightlight different points from other websites as following. 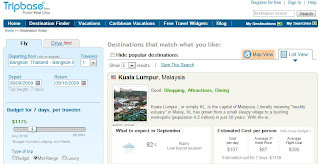 - You can set Budget and Type of Trip upon your need. - What is the best time to visit and What will expect to see in each month! That's cool!